In general relativity a black hole is a relatively simple object. It can be described by three basic quantities: its mass, its rotation (angular momentum), and its charge. No matter what type of material collapses into a black hole, in the end it’s reduced to mass, rotation and net charge. This property is known as the no-hair theorem, because unlike other astronomical objects like stars and planets, black holes should have no features (hair). But is the theorem too simplistic? One of the criticisms of the no-hair theorem is that it’s only been formally proven in the case of isolated black holes. The problem is that black holes tend to do things like build up disks of matter around them, or orbit with other black holes and the like. Does the no-hair theorem apply then, or is it just for lonely black holes? 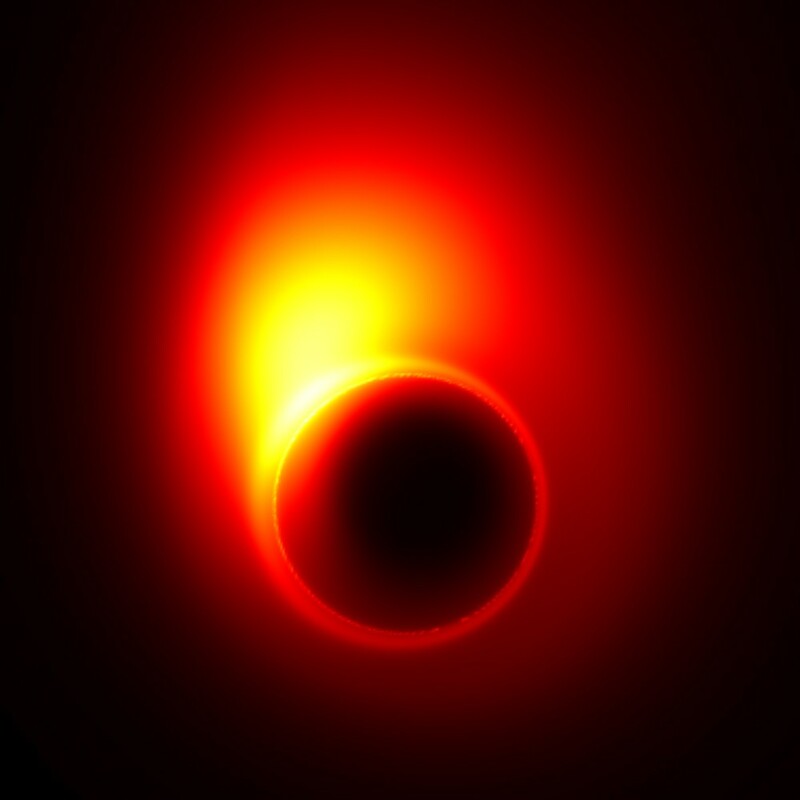 A new paper in Physical Review Letters argues that the no-hair theorem does apply even for black holes surrounded by matter, at least for a broad class of physically reasonable cases. The paper looks at an aspect of gravity known as multipoles. A perfectly spherical mass would have a gravitational field that is the same in all directions. 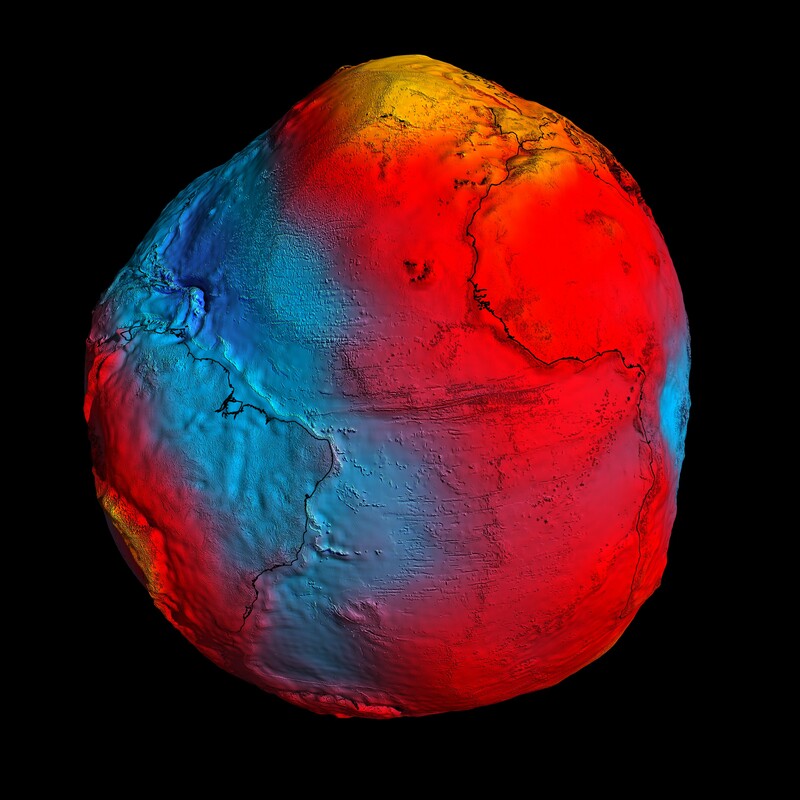 But an object like the Earth isn’t perfectly spherical, so the Earth’s gravitational field is slightly distorted. But the Earth is approximately spherical, so one can approximate Earth’s gravitational field as a series of perturbations from perfectly spherical. The spherical part is sometimes called the monopole, and the deviation along its axis the dipole, then the quadrupole, octopole, etc. With each successive multipole your model of the gravitational field better approximates the actual field. This is often done in relativity because after a few terms the deviations are so small that you can basically ignore them. It’s like saying the value of pi is 3.14159. For most applications that’s close enough. According to the no-hair theorem, the gravitational field of a stationary black hole should be a monopole. Other multipole terms would be due to deviations from a spherical shape, and thus be “hair.” In this new work the author showed that the gravitational field of stationary black hole is just a monopole, even if there is matter surrounding it. This is rather surprising. Suppose there were a black hole with a dense accretion disk surrounding it (which is actually rather common). The mass of the accretion disk would exert a gravitational force on the black hole, and the event horizon of the black hole should distort accordingly. This would mean the black hole isn’t perfectly spherical, and so should have multipole gravity terms. But it turns out that in general relativity the distortion of the event horizon actually cancels out the multipole gravity terms due to the non-spherical shape of the black hole. So even when a stationary black hole isn’t spherical, its gravity only has a monopole term. This is a nice bit of theoretical work, but it could also have observational consequences. Monopole gravity doesn’t produce gravitational waves, for example, so any gravitational waves produced by such a black hole would be due to the surrounding matter, not the black hole itself. There are also alternatives to general relativity where the no-hair theorem doesn’t apply, so there might be a way to use this to distinguish general relativity from other models. For now, though, we know that for black holes it really is that simple. what exactly is supposed to be rotating? 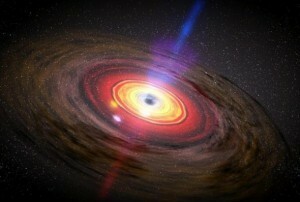 The accretion disk of a black hole rotates. That much direct evidence we have, since as material gets closer to the hole, its rotation draws the material in, resulting in the spin. We’ve directly measured the spin rates of some black holes, showing this rotation. I’m curious about the relation of the no-hair theorem to the supposedly existing entropy of black holes. Does entropy become the fourth parameter which is needed to describe a black hole in this case? It’s my understanding that the No-hair Theorem describes only the physical properties of the black hole, reducing them down to just 3 fundamental ones. Entropy, I think of as describing behaviour, which could be thought of as a side-effect of those properties.